I dyed all of Sweet's second fleece in colors that were inspired by the flowers blooming in the desert right now. 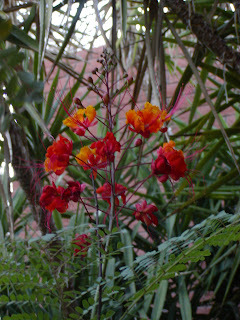 On Sunday I went out and took photographs of every type of cactus and trees that was in bloom at the time. 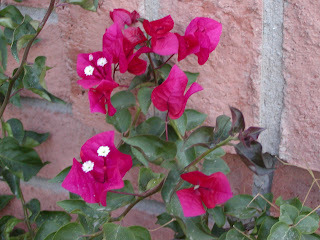 It was a good thing that I did, because we had wicked winds today and most of the smaller blossoms are now on the ground. I spun up two yarns using the mohair that I dyed to recreate the Bird of Paradise flowers above. 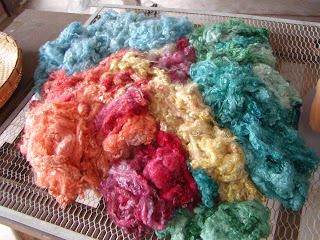 I have fiber the color above picked and ready to be carded - only problem - it is too bright for me right now! 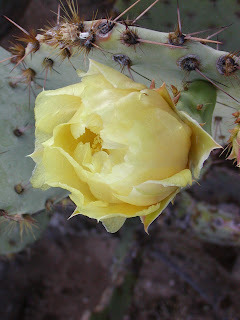 I spun a yellow/golden skein that recalls the prickly pear flower. 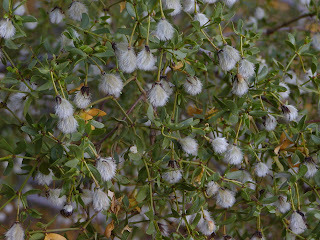 These are the seed pods on the creosote. I will spin those up as a novelty yarn. Should be fun. I am currently forcing myself to spin at least a few hours a day on two orders that I have. My conscience is catching up to me - so I have to dream about the yarns I will be spinning.